BBM for Windows phone coming soon (June)! The much awaited BBM for Windows phone is just very near to be released officially. Windows phone users, these days, are very much disturbed for WhatsApp being removed from the Store. So you might be happy to hear that BBM is releasing very soon and therefore BBM can help you fill the gap created due to WhatsApp. 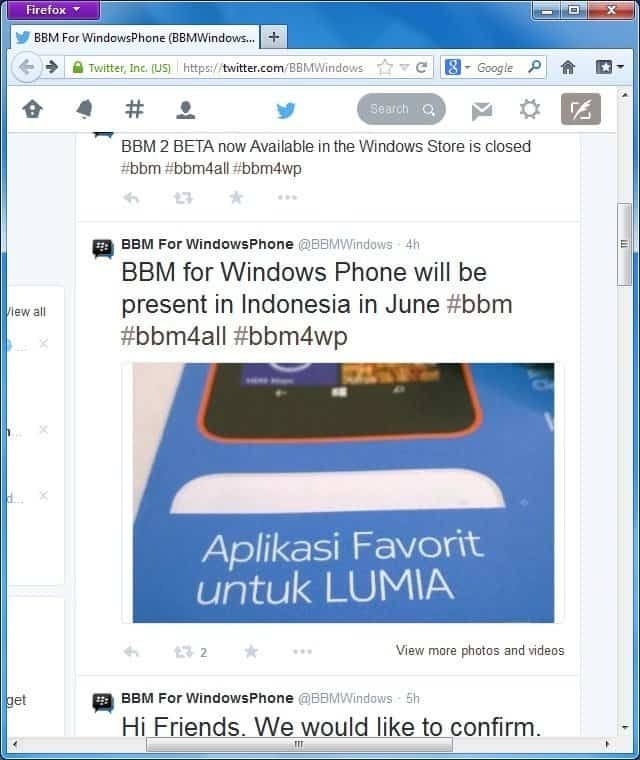 Today @bbmwindows tweeted the snap of promotional poster of Nokia Lumia 630 launching in Indonesia in early June. 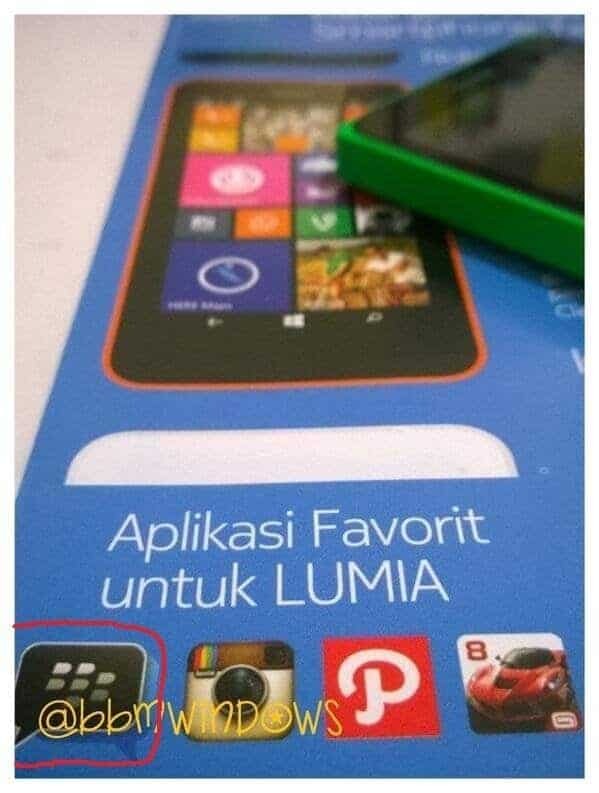 The poster contained few icons at the bottom, one of which was of BBM which is a direct hint that BBM is gonna release with Nokia Lumia 630 in Indonesia and then will be available at store to be downloaded free of cost. You can join us at our Facebook group here or Facebook page here for more information on Windows phone.